At Remodel Now, we want you to love your remodeled home both inside and out. That’s why we offer siding and roofing services to our clients in Troy and the surrounding communities. However, we consider ourselves to be more than just siding installers or remodeling pros. We’re also client advocates. That’s why we offer free online estimates for siding, roofing, and gutter services, as well as a variety of financing options for local homeowners. In some cases, the main focus of your remodeling project might be the exterior of your house. In other cases, you may need to bring an addition or an upgrade into line with the rest of your home’s appearance. That’s why we do offer some roofing and gutter services when they’re part of larger additions or siding projects. 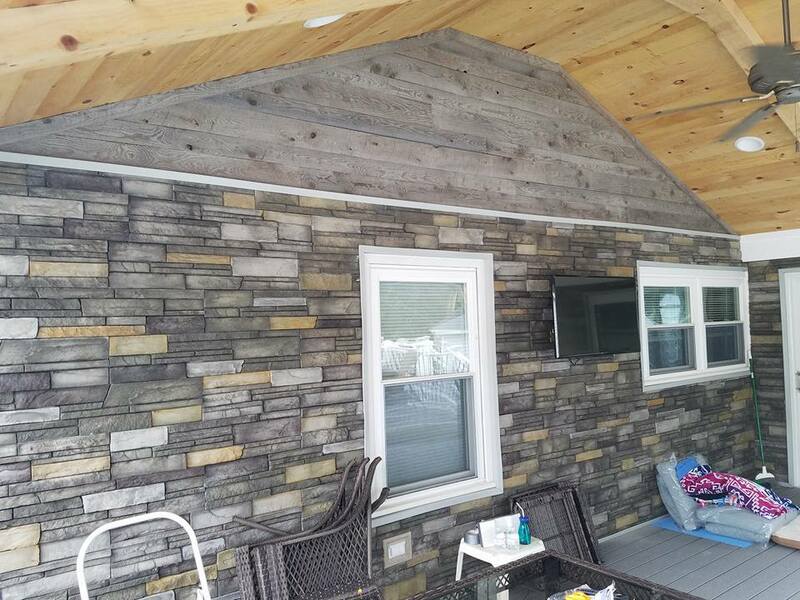 Whatever the situation, the team at Remodel Now can consult with you about installing siding and other components to improve the appearance of your home and achieve a beautiful, cohesive look. When you contact Remodel Now for house siding assistance in Troy or the surrounding region, we’ll walk you through the pros and cons of each material so you can make an informed decision about the best choice for your home. Remodel Now is happy to offer vinyl siding installation to local homeowners. Many people prefer vinyl because it’s low-maintenance, extremely durable, and very affordable. Vinyl siding also comes in hundreds of different colors and can be arranged in various patterns, so the world is your oyster in terms of designing your dream exterior. So, if you’re interested in vinyl siding installation, let us know! Our experts can sit down with you and help you choose the best materials for your project. In some cases, your remodeling needs may be solvable with a professional-grade repair to your home’s siding. If the exterior of your home needs some attention, call the team at Remodel Now today. We will be happy to assess the situation and advise the best course of action. If it is cost- and labor-efficient to complete a repair, the crew at Remodel Now will be happy to take that on. If it makes more sense to remove the existing elements and install new ones, we will walk you through the different options available. Either way, we’ll make sure that the outside of your home ends up looking fantastic!